Water, of course, is the most important thing for our body. It also works wonder in making us look beautiful. Dehydration may cause the under eye area to get unhealthy and may result in a dark circle. It is suggested that you gulp down at least 8-10 glasses of water to rehydrate yourself and heal the under eye area. Fruits and vegetables that contain a great amount of vitamin C should be added to your diet. The antioxidants present in such fruits make your skin elastic and add years to it. It will definitely help reduce dark circles. It will also make the area under your eyes soft and supple. Cucumbers are best known to deal with the problem of dark circles. They have skin-lightening properties. Also, they act as a natural astringent which will help cure those raccoon eyes. Slice up a cucumber and put a few slices in the refrigerator for about 15 minutes. Take them out of the refrigerator and place them on your eyes for about 15-20 minutes. It will make you feel relaxed and will also remove dark circles. They have excellent properties of making your skin supple and healthy. What you need to do is mix one teaspoon of tomato juice with one teaspoon of lemon juice and make a consistency paste. Apply it under your eyes and leave the paste on for about 10 minutes. Rinse it away with cold water. If lemon juice irritates your skin then you may adjust the quantity. You might have often seen on the internet that beauticians recommend putting tea bags under your eyes. Well, it works though. 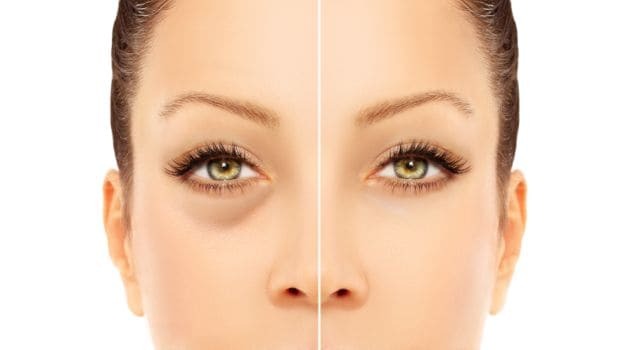 Green tea helps in contracting the vessels under the eyes which reduces the appearance of dark circles. It also contains tannin which is an astringent. Dip the tea bags in the water and refrigerate them. Place these tea bags under the eyes and let it be there for about 15 minutes. Wash your face with cold water. If you want to give homemade remedies a try then you will have to be consistent with them and be a little patient. Use these remedies regularly and you will surely notice a difference.